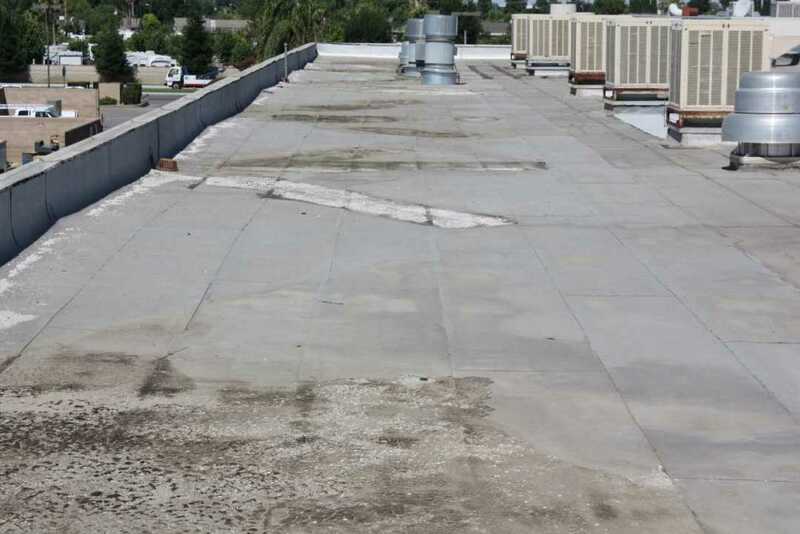 Have you noticed that your flat roof has been accumulating dark spots due to dirt, lichen, moss, and/or mold, and have you wondered if there is anything you can or should do about it? The answer is yes, you can and you should take care of your roof by cleaning. Chances are, unless your roofing is lifting and coming off entirely, you don’t need a new roof; you simply need to clean your roof often. There are many reasons to clean your roof on a routine basis, and we will explore those reasons, in addition to taking a look at some of the most common methods of cleaning your roof. You may wonder why it is desirable to clean your roof. Well, here are a few reasons to keep your roof free of dirt and mold. Cleaning keeps the roof membrane functioning at its best. Membranes, usually made of synthetic rubber or thermoplastic, serve to prevent leaks in your roof and to channel water off your roof. 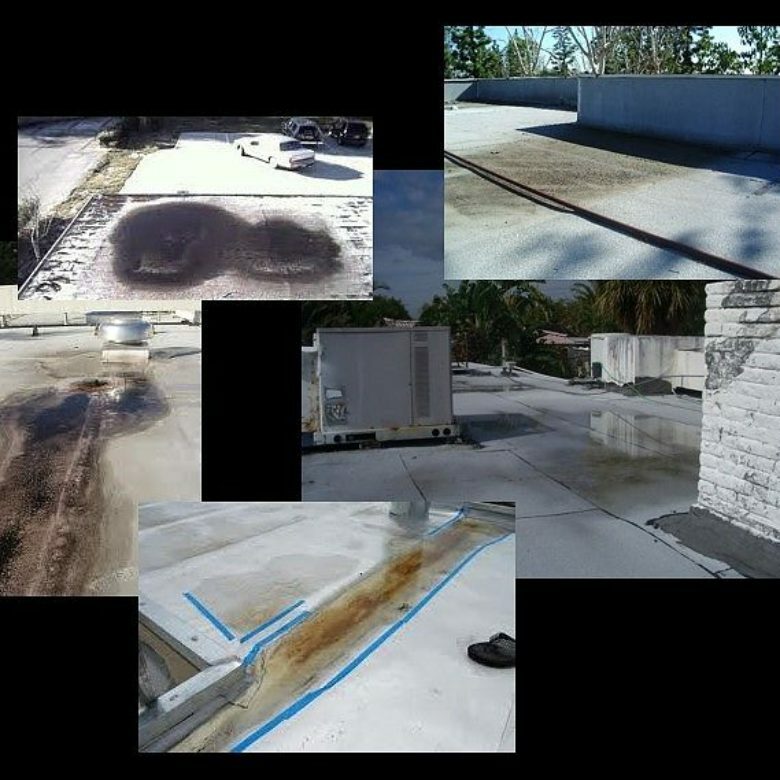 Regular roof cleaning prevents mold and vegetation from eating away the membrane over time, thus helping to prevent leaks. 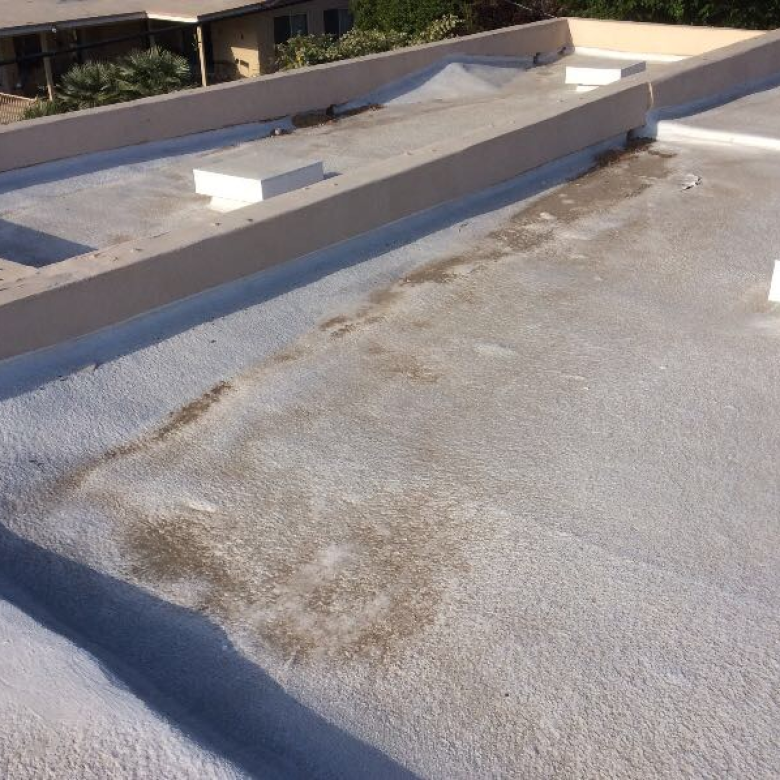 In addition, keeping the roof free of debris and vegetation of any kind allows the membrane to better achieve its function of channeling water off the roof, again preventing leaks and generally prolonging the life of your roof. If you have any shingles, cleaning helps protect your shingles. Like the membrane, the shingles on your roof serve the important purpose of preventing leaks and providing overall protection to your roof. Cleaning them helps protect them from mold and vegetation that can wear into shingles and serve to lessen their strength and cause lifting. According to AngiesList.com, “A proper roof cleaning will allow the homeowner to maximize their shingle life for up to 20 to 25 years, or more.” Without cleaning, shingles/membranes are not likely to last this long. Cleaning maintains the roof’s warranty. Most roofs come with a warranty, but experts suggest cleaning the roof as part of keeping the warranty up to date. Thus, cleaning allows you to get the most from your roof’s warranty. Cleaning makes your roof more attractive. Everyone wants their building to look its best, and keeping the roof clean contributes to that goal. Regular cleaning helps your roof look like new, while not cleaning will keep your roof looking dingy and damaged. We have seen the benefits of cleaning your roof and the consequences of not doing so. Now, we will take a look at the ways in which roof cleaners approach their task. The non-bleach, low pressure method. This a method that is free of harsh chemicals and high pressure washes. It is effective and environmentally friendly. One drawback to this method is that it is rather expensive. The bleach method. Here, the roof cleaners will coat your roof several times with a bleach compound. This method is not as environmentally friendly as the non-bleach method, but it is effective and more affordable. The high pressure washing method. 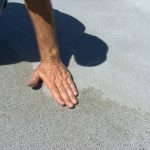 This method is effective at removing stains, but roof cleaners must be extremely careful because the high water pressure can damage your shingles. In summary, we have explored the reasons why cleaning your roof is a good idea, as well as the serious drawbacks of not cleaning your roof. 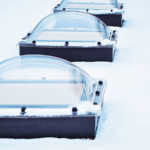 We have also taken a look at some of the most common ways roofs are cleaned. For more information on roof-cleaning and its benefits, please feel free to contact us.